For the next three days, our key partners will be immersed in dynamic keynote presentations and 20 technical deep dive and business sessions at three levels of security curriculum. This is our time to honor them for the great successes they’ve achieved and help them to get ready to once again break records in the coming year. 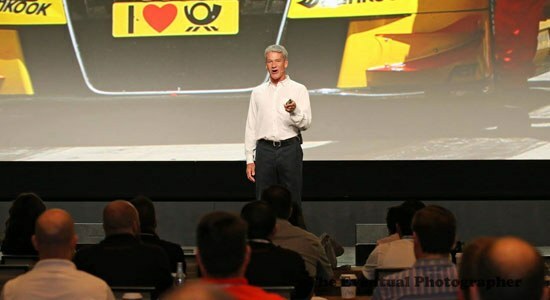 I could not be more pleased to spend dedicated time with our channel partners from across the US and 21 other countries, who have been able to top all charts in terms of sales and trainings. With security being a top priority for all organizations, we are delighted to see the success of our partner strategy and continue this tremendous momentum with new exclusive offers, and a showcase of their successes. At Dell Peak Performance conference we’re highlighting Dell’s phenomenal network security success that our partners have achieved in the last 12 months. A key component of this achievement is due to Dell’s end-to-end channel strategy. With 12,000 partners selling Dell SonicWALL next-gen firewalls, secure mobile access and email security solutions, we’re elated to see deal registrations increase seven percent to over 4,100 per quarter, while the number of partners submitting deal registrations rose by 12 percent. Through the 8,700 training and certification courses we provided this year, 320 partners have earned the Network Security competency. As a result we now have nearly 1,500 Preferred and Premier level partners certified in Dell next-generation firewall and Dell SonicWALL Global Systems Management solutions. In Q2 2015, Peak Performance attendees on average for 2014 showed results that their sales increased 40 percent year-over-year compared to those who did not attend Peak. Dell also announced an exclusive offer for Dell Security Peak Performance attendees for a 50 percent instant rebate on select Dell SonicWALL TZ and NSA appliances, while supplies last. This rebate will be made available Sept. 1 through Sept. 11 with key distributors Ingram Micro, Securematics, Tech Data, D&H Distributing, and SYNNEX. A second offer that proved successful since last year’s Peak event, a Double Down Security Certified Volume Incentive Rebate, is being offered again this year to incite increased business opportunities for certified Dell network security partners. Additional channel profitability opportunities will be unveiled during Peak Performance main stage presentations. For the top three priorities, partners pointed to network security/UTM (83 percent of respondents), mobile security (68 percent), and email security (48 percent). Our Peak attendees are hearing from an amazing lineup of presenters, from our guest keynote speaker and world- famous hacker, Kevin Mitnick, to Curtis Hutcheson, VP and GM of Dell Security Solutions who will kick off the event, to Patrick Sweeney, Vice President, Product Management & Product Marketing, Dell Software Group, Security Solutions, who will deliver our security roadmap. Security experts are giving demonstrations with Dell One Identity Management, Dell Systems Management and Dell Data Protection and Encryption and more. We want to thank our Platinum sponsors, Tech Data Corp., SYNNEX, Ingram Micro, Securematics, D&H Distributing, are showcasing their services in our Solutions Expo. It has been an honor to lead our worldwide Dell Security channel organization for more than a decade. Through the dedication and success of our loyal partners, I know we will continue grow together. We have had incredible momentum in 2015 recognized across the channel and security industry, as well as awards including the Best Channel Vendor 2015 in the Network Security category, from Business Solutions magazine. The entire executive team and I are here for you, committed to seeing you and your customers’ prosper for the long-term. I am looking forward to meeting with you one on one this week. Follow the conference activity on @DellSecurity #DellPeak. 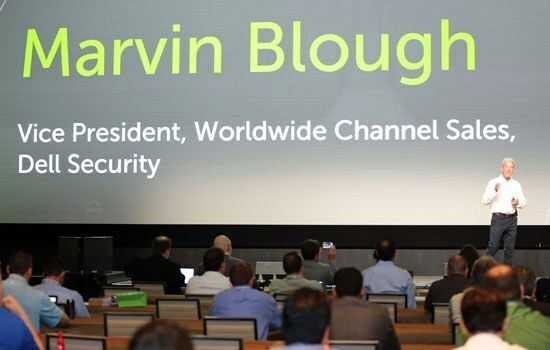 I personally hope to hear from you on Twitter at @MarvinBlough.